A bedtime story is the perfect way to end a day. If my mind ever wanders, while sharing a story, I try to bring myself back to the present. I remind myself to be mindful. There may be dishes stacked up downstairs, waiting to be put away, but the Kids’ won’t want a story from Mom indefinitely. There’ll always be more dishes to put away. The days can be long, as a parent, and as tired as I can become, I muster up the energy to read to the children. Or, as they have gotten older, read with them, alternating between sentences and pages. 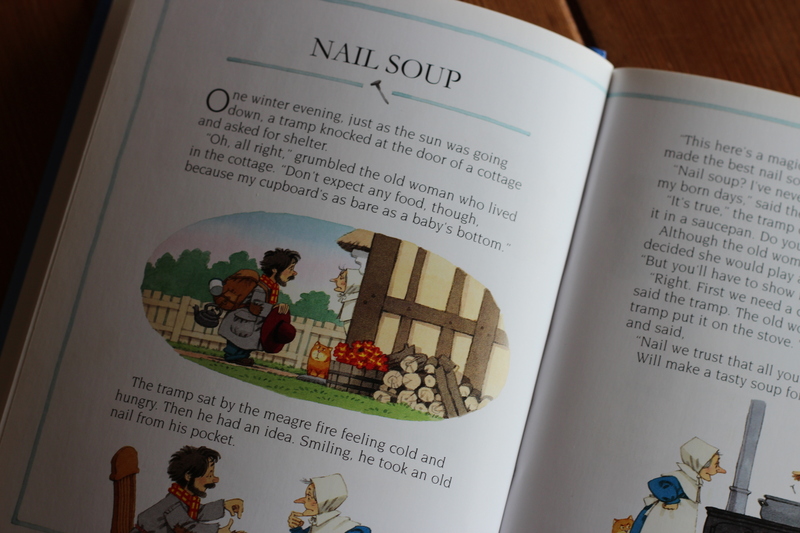 One of my favourite stories to share is “Nail Soup”, a Swedish folk tale. Seriously the Swedes can do no wrong in my eyes. And that’s where this post takes a completely different path. Because with a little bit of this and a little bit of that, you can make up for what you lack. This is how I make nail soup. Does this look like a bag of nails? No. 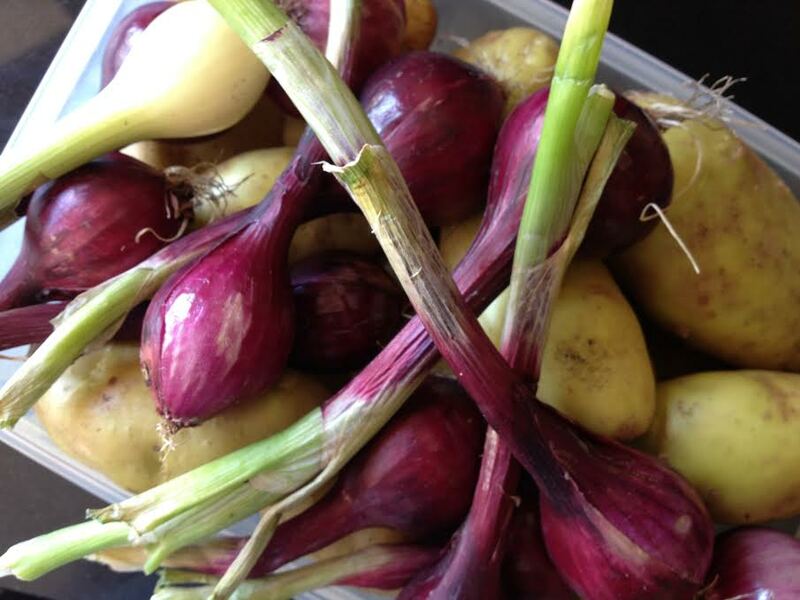 It’s home-grown white potatoes and red onions. But it could be anything. It could be cauliflower, butternut squash, parsnips, carrots, leeks or tomatoes. With a knife to dice and chop. 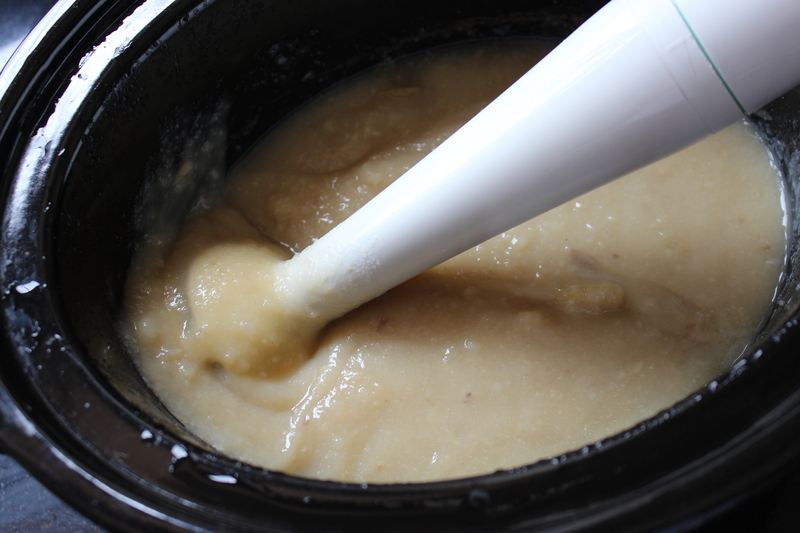 A slow cooker or crock pot to fill with stock. Time to pass, say a few hours to soften the ingredients. And a hand blender to smooth when cool. Storecupboards may seem bare, but soup can easily be made from odds and ends hanging around the kitchen and items to use up. Food that will now not go to waste. Nail soup is very simple, and usually very tasty. 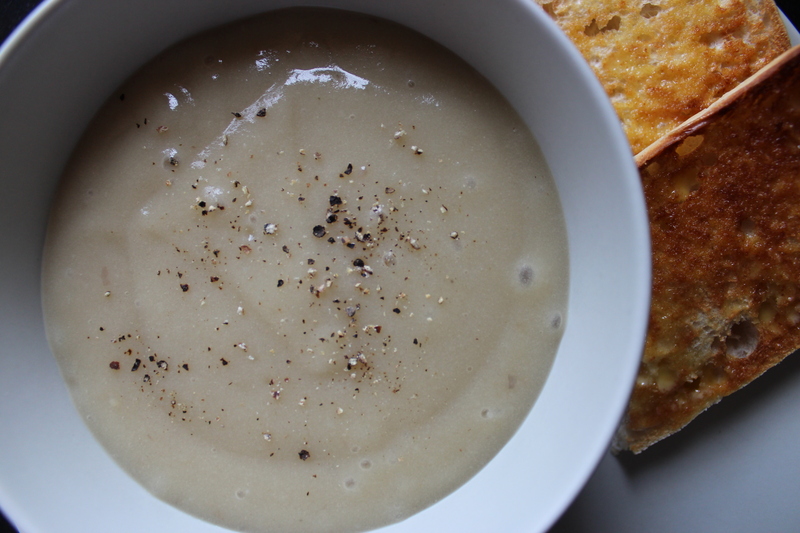 Some of my best soups have come together just this way! I grow my own herbs so I always have fresh ones on hand to add to my soups/stews. 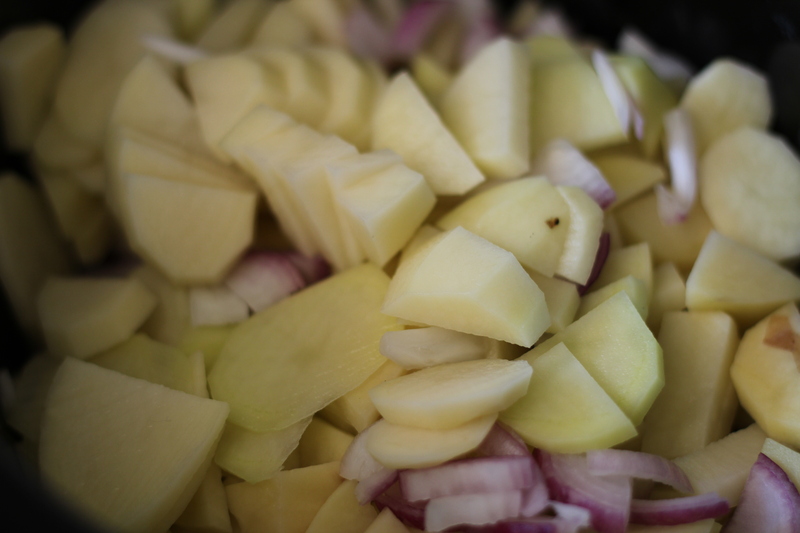 We call them stoups as they are too thick to be a soup and too thin to be a stew! Same here. 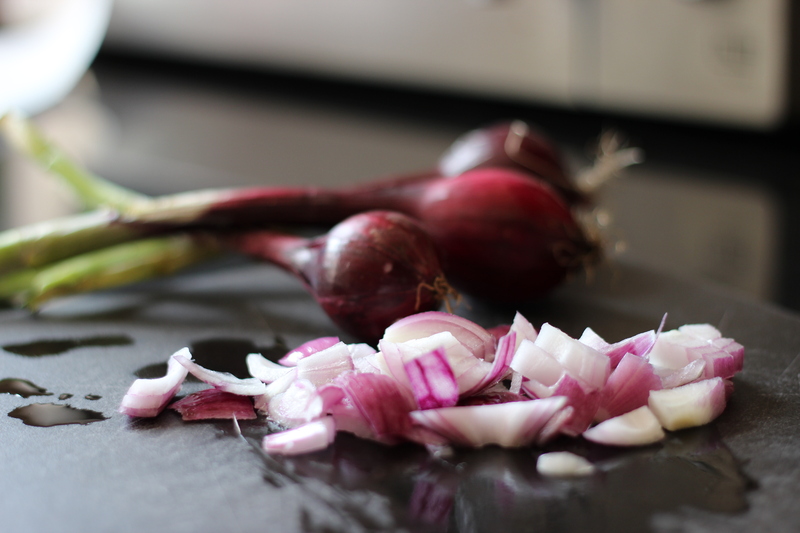 Some of my favourite soups have been the ones that have come from ‘a bit of this and a little bit of that’ – usually whatever vegetables are still in the fridge at the end of the week. Having staples on hand like tinned tomatoes or tomato puree and herbs, spices and stock cubes can really enhance the flavour of the soup too. It’s hard to go wrong really, isn’t it? I’m throwing in beetroot also in my next batch. I’ve been doing this for awhile now, too – except I leave the ingredients chopped as I’m too lazy to puree them 🙂 Yours look so good, I need to rethink that! It’s just a matter of taste… This turned out pretty thick! But tasty! I have been making nail soup for years without knowing it had a name! I loved the story and will serve it with great pride from now on.